Yesterday I wrote about the denied boarding trends at Alaska, American, Delta, and United. Today, I’m going to start with Southwest and work my way through the rest of the branded airlines that report their numbers. If you’re comparing to yesterday, remember that these numbers from the Department of Transportation’s Air Travel Consumer Report are for mainline only. None of these airlines I’m writing about today have a regional operation except for the miniscule one at Hawaiian, so it won’t be an issue unless you’re trying to put aggregate numbers side-by-side with the big guys we looked at previously. The reason we still have involuntary denied boarding are related to day-of-travel operational issues. In these situations, we’re focused on helping our impacted Customers, which may result in re-accommodating a Customer from a flight that was impacted by a day of operation issue by overbooking them onto another flight. This helps ensure they get to their destination in a timelier manner. This can sometimes result in an involuntary denied boarding situation on the second flight. Our Ground Operations Teams are focused on helping our Customers who are in these situations to get them to their destinations as quickly as possible. In short, Southwest won’t let you overbook, but it’ll definitely let its own agents do it. I find this really strange that it hasn’t been able to get a better handle on the situation. That’s more than 7 people a day who get bumped involuntarily, and it’s apparently a self-inflicted wound. JetBlue has always said it won’t overbook its flights, so it really shouldn’t have denied boardings. But it does. This year, however, it seems to have made improvements. The airline has clearly made significant strides in reducing that astronomical involuntary denied boarding rate. This wasn’t a one-off thing in 2017. I wrote about JetBlue’s issues back in 2016 as well. It appears that the airline has finally righted the ship, or at least it got lucky. With only 7 people bumped involuntarily and a still low (if slightly higher) volunteer rate, JetBlue seems to have figured out how to stop making people mad (at least through denied boardings). Oh Frontier. People want to love you, but you make it so tough. In an age where nearly everyone seems to be improving, Frontier is not. Oh sure, its involuntary rate went down ever-so-slightly, but that’s still far worse than pretty much every other airline. (We’ll get to the exception to that rule next.) The number of volunteers required went up significantly. I honestly don’t know what to make of these numbers since it’s hard to know if this is by design (less likely) or due to operational issues (more likely). But what I do know is that these numbers aren’t good. Yes, the airline’s rate of involuntary denied boardings went down, but it was still the worst by a mile when looking at all airlines. To give you some perspective, Spirit bumped 410 people, that’s only 73 less than American yet American carried more than 5 times as many passengers. My assumption is that the airline would have looked a lot worse if not for its huge increase in voluntary denied boardings. I know Spirit has worked hard to get its operation in order, so you’d think these numbers would look better, but they don’t. For those who like getting paid to get bumped, Spirit looks to be your best bet. I couldn’t end on that note, could I? Let’s go with something calm and soothing to finish… Hawaiian. Hawaiian involuntarily denied boarding to 2 people in the entire first quarter. I’m sure those two people were mad, but that’s a tiny number. You might notice that voluntary denied boardings climbed, but look at the rate. That is incredibly low. In fact, it’s the lowest rate on here (unless you isolated Virgin America). This makes sense, because most of Hawaiian’s travel is leisure-based. Those people book further out, and they show up when they fly. A lot less overbooking is needed compared to a business-heavy network. One more interesting note to end on. Allegiant just started reporting this year, so I couldn’t do a comparison. The airline apparently doesn’t follow in its ULCC-brothers’ footsteps. It had an involuntary rate of 0.18, same as Southwest. But it also had no voluntary denied boardings, so apparently it doesn’t even try to avoid those involuntary ones. Seems like an easy fix there. Overall, airlines are doing a much better job of cutting back on involuntary denied boardings, and that is good. If you’d like more detail, see page 34 of the DOT report. Could the reason for the SW issue be a downgrade from a larger aircraft to a smaller one? Nick – That could be one of the reasons. It’s what really hurt JetBlue previously – A321 to A320 downgrades. A few years ago, in the summer, I flew OAK – LAX round trip. Southwest cancelled multiple flights on both days, routing people to other Soutwest flights on that route. The flights I was on were very empty. I belive these were cancelled due to low passenger counts. They don’t cancel flights due to bookings. 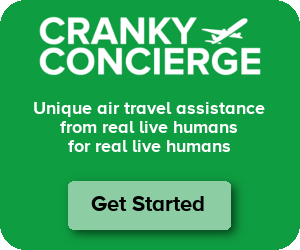 True, they might choose a flight that is booked lightly instead of a full one if a flight needs to cancel, but it is not due to the bookings alone. There would have to be another issue that would cause the need to cancel a flight. Given that Southwest tends to offer itineraries with connections at numerous different airports (seems like far more than most of the majors, at least in my anecdotal experience shopping with them; e.g., from DTW to MCI you can connect in MDW, BNA, STL, ATL, etc), I’m wondering if that reduces the chance of them having spare planes (or spare planes of the right sizes) in the right places when needed. To summarize you findings, you should add a graph will all airlines represented. By adjusting the axis on the graphs, its difficult to visually compare the airlines and their YoY changes. I recently learned, and took advantage of, that Southwest will let you on an earlier flight with just your Wanna Get Away fare if your flight’s delayed. If people are doing that when the earlier flight is full, is Southwest actually booking people on that flight, only to book them again to their original flight? Brett. Interesting discussion the past two days.